PBB Teen alum Joaqui Mendoza all grown up! More Mr. Rhoads, body beautiful! If this is Don McGyver Cochico‘s I-just-woke-up-from-last-night’s-contest look, count me in as a fan. Well, I’ve always been a fan of this police guy! Another feature within the week, eh? He didn’t win last night’s Manhunt International title, but Don’s demeanor, charm and resilience is always admirable. Hah! Here’s further proof that much of the world’s beauty and hotness is being born and bred in this side of the pond! Mister Hairy Legs here are Miguel Mari Guia and CJ Querol, winners of the recently concluded Mister Philippines contest. Miguel is Mister International-Phils while CJ is Manhunt International. 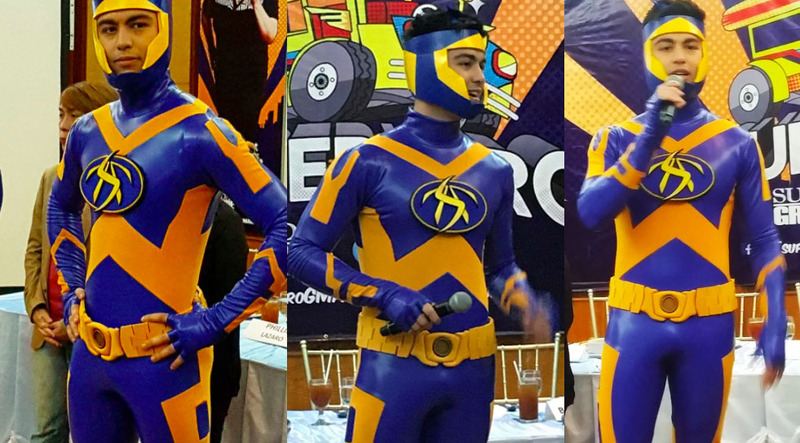 Derrick in tights as Tsuperhero!